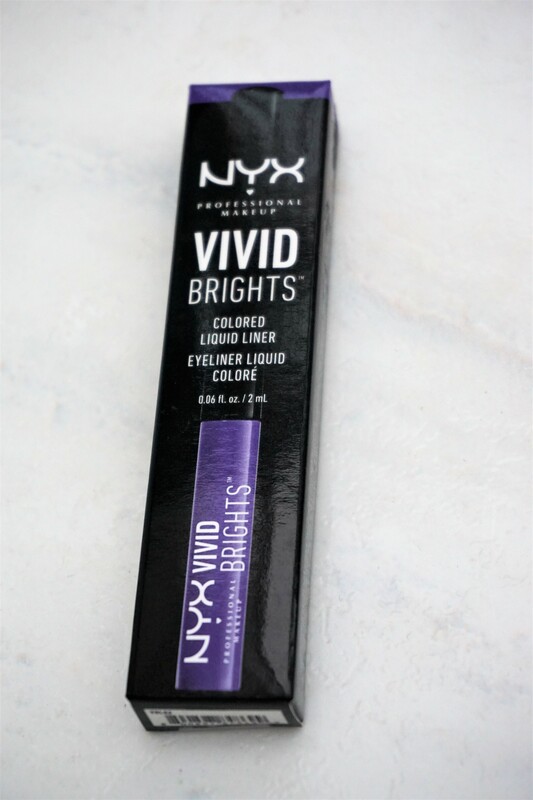 On a recent trip to Boots, I found myself browsing the NYX make-up counter and ended up picking up one of the Vivid Brights Coloured Liquid Liners in the shade ‘Vivid Violet’. The Vivid Brights range of liquid liners has been out for a while but I haven’t looked at them before. I’m glad I picked one up to try as I love it – relatively inexpensive, easy to apply and vivid, high impact colour in liquid form! 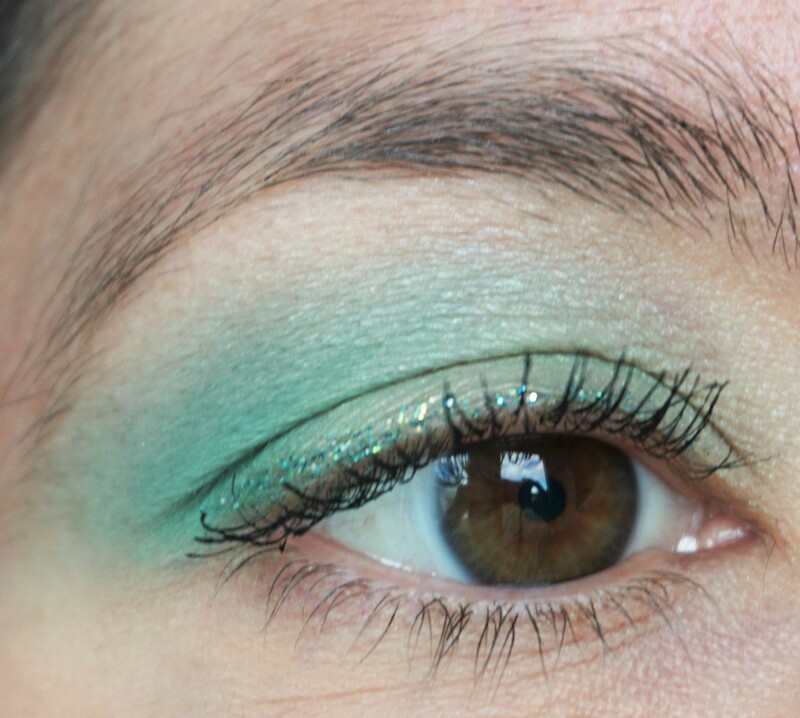 Adding a sweep of coloured eyeliner to an otherwise neutral eyeshadow look is a nice way to introduce colour to your make-up. This technique is particularly nice if you fancy trying out colour but find it a little daunting. 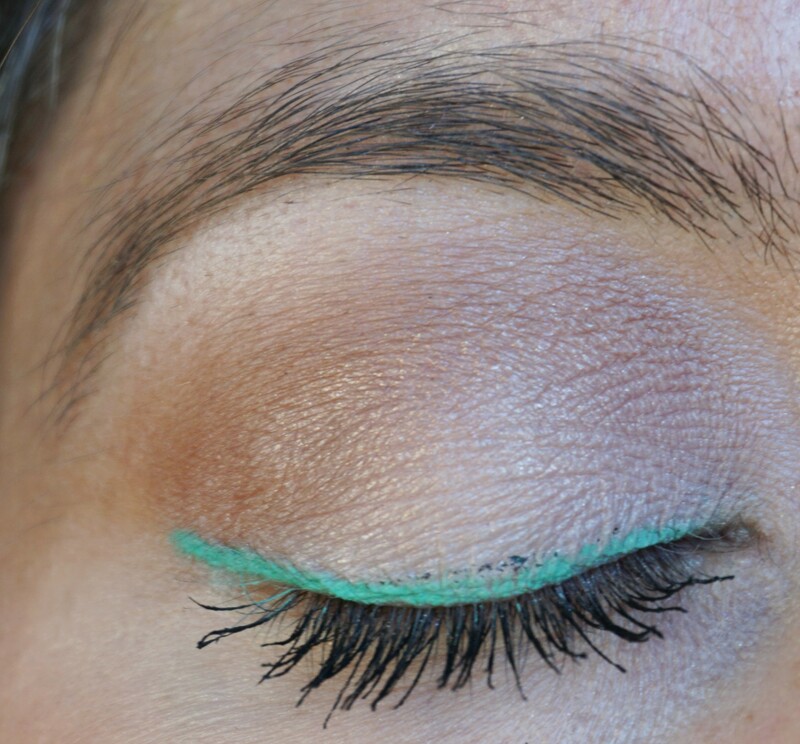 Tip: Sticking to neutral tones of eyeshadow also means you can experiment with different colours of liner. Try purple, blue, bronze and silver for a twist on the same look. 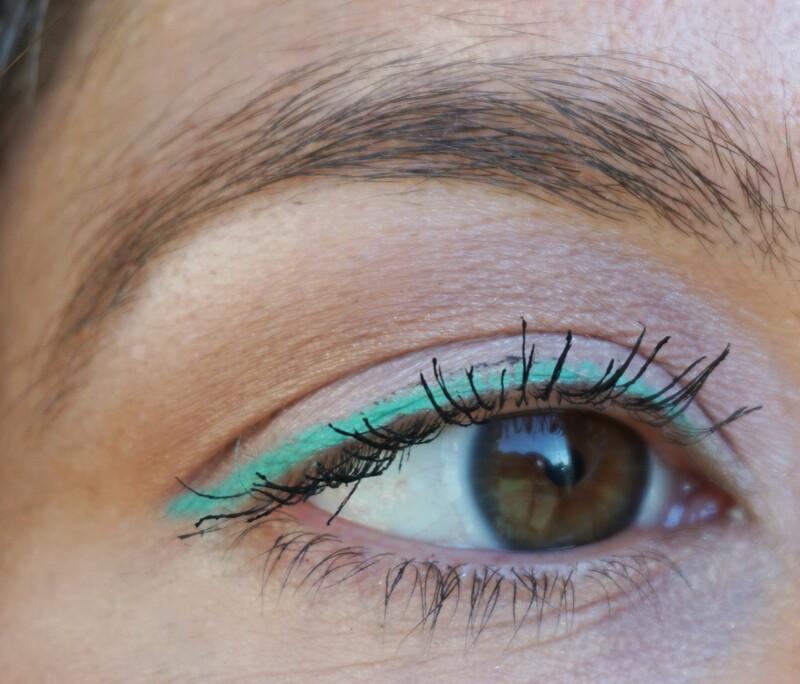 Click here to read more about the Kiko Lasting Precision Automatic Eyeliner I used in this look. One of my readers (shout out to Julie!) said that she would love to see how I organise and store my make-up collection. 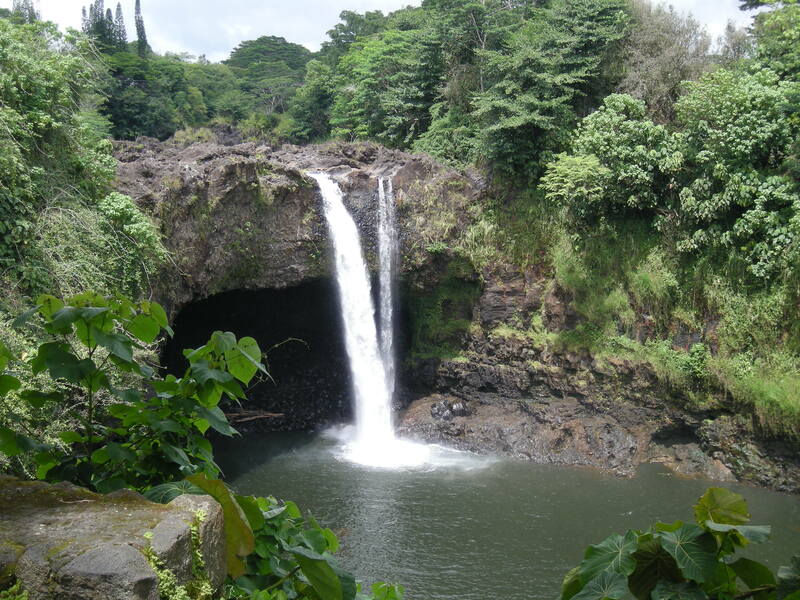 I really enjoy reading this type of post on other sites so I thought, ‘why not put something together on my own site’? 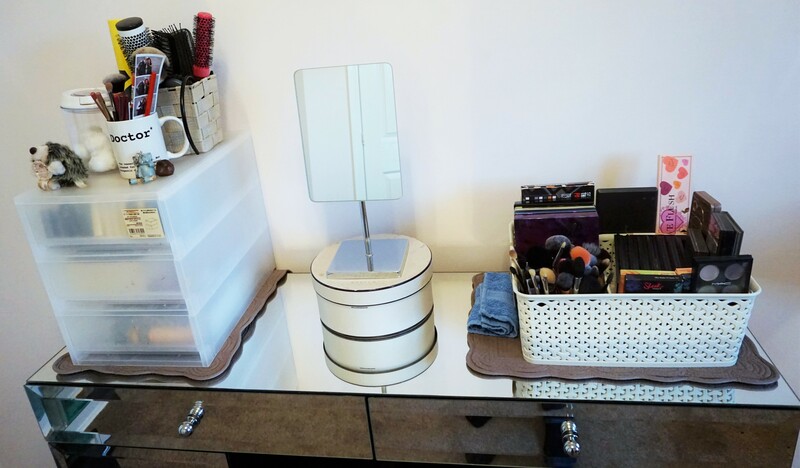 It’s always fun to see how other people store and organise their make-up. It’s also fun to look at pictures of other people’s make-up and see what they have in their personal collection! Note: I’ve separated my make-up organisation and storage into articles based around different parts of my make-up collection. Once I started writing, I realised that keeping it as one post was going to be too long and a bit overwhelming. This first post is based around how I store my lip and cheek products. If you want to know more about any of the products in the photos here, let me know. 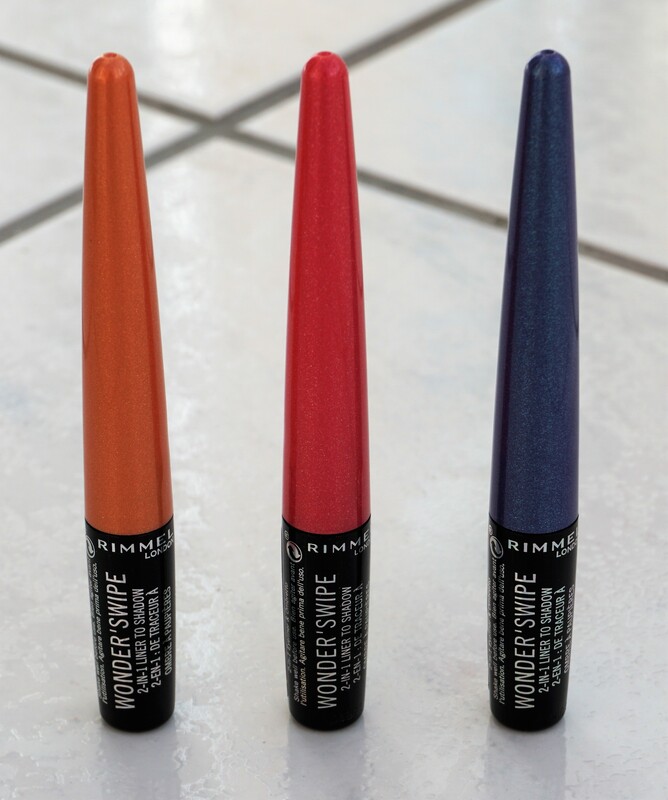 On a recent visit to the Kiko store, I picked up two different types of eyeliners: one of their new Lasting Precision Automatic Eyeliners and one of their Super Colour Eyeliners. I’ve been really enjoying trying out Kiko make-up recently and these two products are no exception. These products are highly pigmented, glide on easily and last all day – everything I look for from an eyeliner. Oh, and did I mention that they are reasonably priced as well? Another win-win for me from Kiko! Interested in reading more posts on Kiko make-up? Click here to read about other products I have tried out and love from the brand. 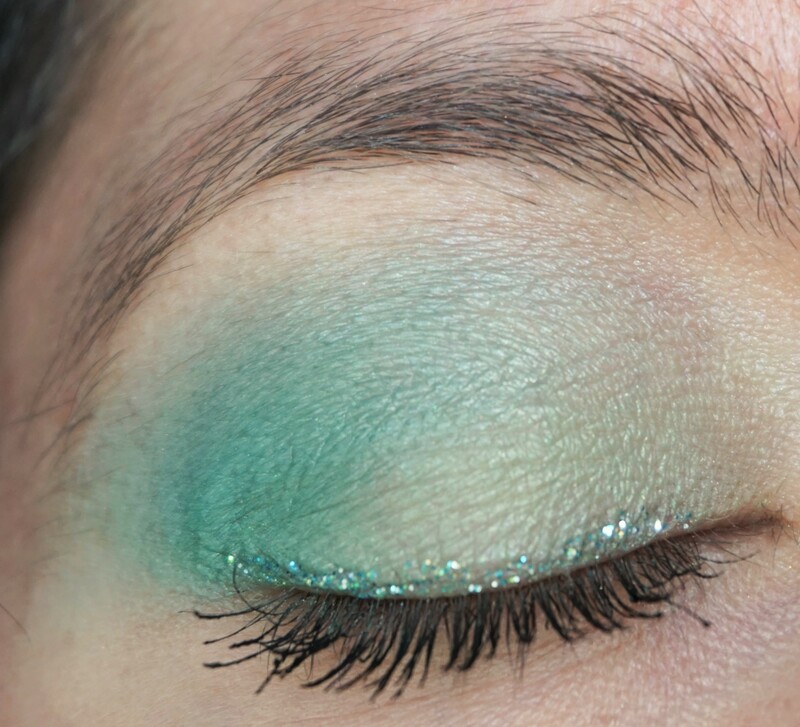 For this look, I added a slick of a glitter liner (Urban Decay Heavy Metal Glitter Eyeliner in Amp) along the lashline to add some sparkle to this aqua-green combination. I really like the glitter liner adds a little extra something to the look, without changing it too much.